Kendama made with love. 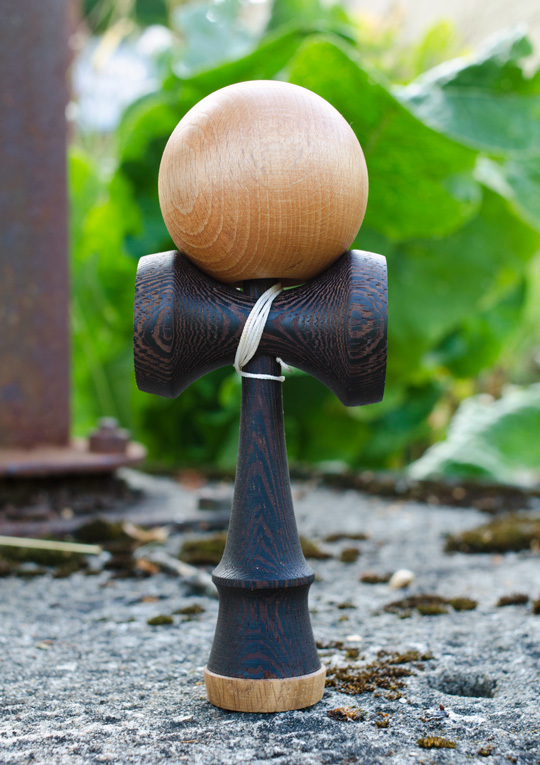 Ken is made of exotic wenge wood with oak base cup. Tama is died to mahogany color. Stylish bag and 1,5 m string included.